The "Obsession" board is out!! Myth is finally proud to introduce to you the latest edition to the family. Made with selected quality wood, this intermediate board is highly upgraded with fiberglass for the bottom part and it is also fully resin to make it perform better. As a result, the board last longer. This "Obsession" board is good for ramps and to catch a few feet wave. Meanwhile, we have decided to come up with black colour this time, but will add more options in the future. Well yeah..!! This board is up for grab at RM 160/nett. 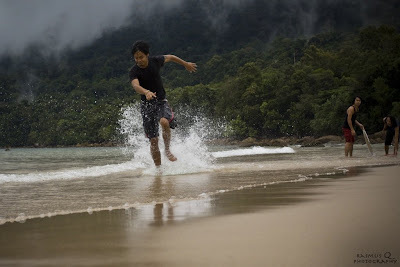 Grab one now and have fun at the beach! The heat and your skimboard are not friends! Don’t leave your board in direct sunlight. Above all, never leave your skimboard in the trunk of your car for extended periods of time. You are baking your board in an oven if you do this. 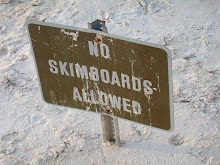 Your board will loose its structural integrity, and could result breakage. 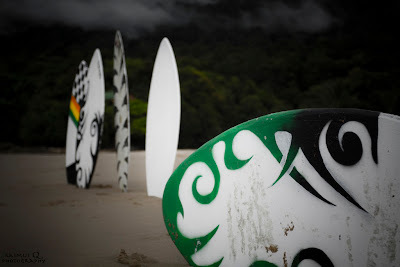 Store your skimboard in an area where there is no sun or heat. It is recomended that you keep your board inside a board sock or board bag to ensure full protection of your board. And don't lean its against the wall, it might make your board twist. Scratches on the bottom of the board are normal due to the abrasion of sand and shells at various beaches. They do not have to be repaired. Any dings, cracks, deep scratches, or damages to the board must be repaired immediately. 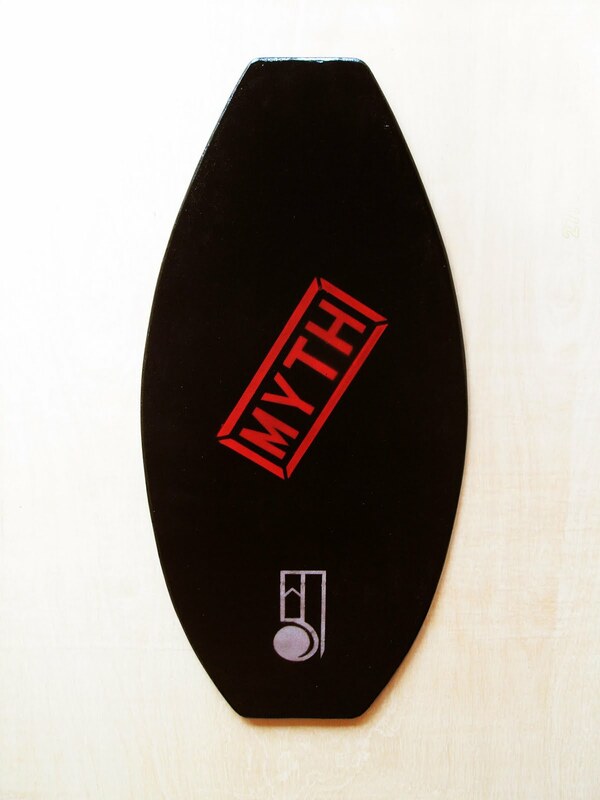 Contact your local surf shop or Myth for assistance. We were enjoyin our Saturday routine. Skim all day long. Not exactly all day, but still. So met this guy name Rasmus. He was taking picture of scenery or what so ever and then hitting his lense to us. So, we just do what we do, or i can say showing off eventho it did not turn to be good. Yet he gets his nice photos. He is a good person. 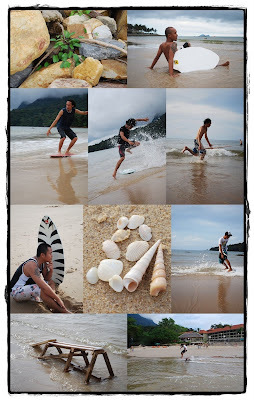 Thanks to him alot for these photos. Enjoy! 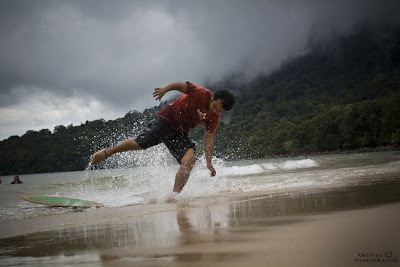 Where is the right spot to begin your skimboarding? 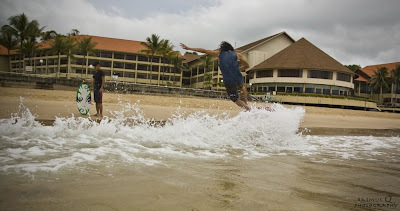 Wonder where is the right spot to begin your skimboarding? Well, i bet all the people from kuching or some other places know where, and its a hot place. 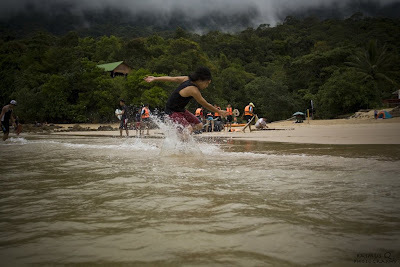 It is at Camp Permai where everything began and where most of the skimmers learn to skim and learn their first trick. We like it well, so well. For our team, Myth, you will see our faces every weekend. Never tired of it. Maybe most of you guys out there know who we are. Coz most of us are friends, obviously. For now, our team still looking for places to do the flatland. Camp Permai is too far to drive. So, hope we will find the best spot. Worry not, we will give you the best. 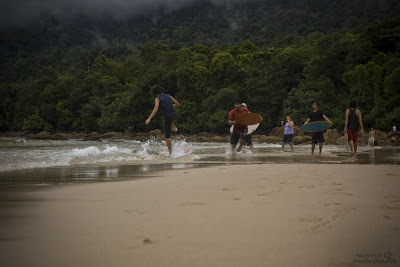 But please for those who know where the nicest place to skim, let us know aite.CHEERS!!! With the core or i can say a building team at side, the vision to produce and to give name to the island as it reach to the stage where the other island goes. We will never left out in scenes and new things. We will try to expose the new culture in town and in the same time promoting our brand. Someone ever approach me and ask, "what is that flat board you ride on the water? "..Its so obvious that we are still in the place where monkeys and human still live together. In fact, we are. 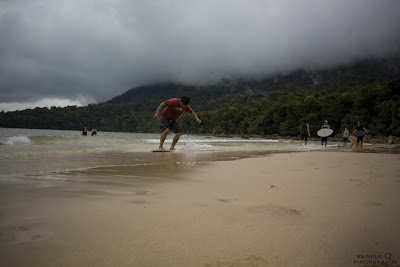 Go to Camp Permai, and you will see the monkeys are free to catch the fly on every tree. No offend k. I mean, we're not fully expose from the outside world. 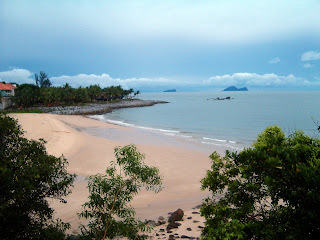 But worry not, that is why we are here, with the name Myth we carry and we will try to make the scene in Borneo as great as the island's name. Nah.Wana have fun? ?Break the law dude! !